“Heal Yourself” is a single by H.E.A.L. (Human Education Against Lies), a movement spearheaded by KRS-One. 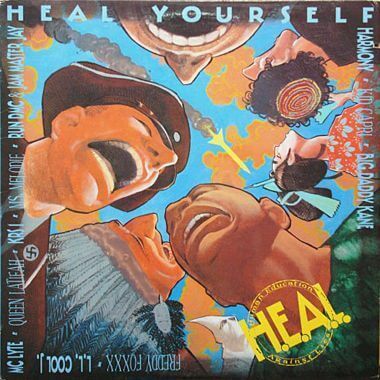 “Heal Yourself” features KRS One as well as Big Daddy Kane, Freddie Foxxx, Harmony, Kid Capri, LL Cool J, MC Lyte, Ms. Melodie, Run DMC & Queen Latifah.